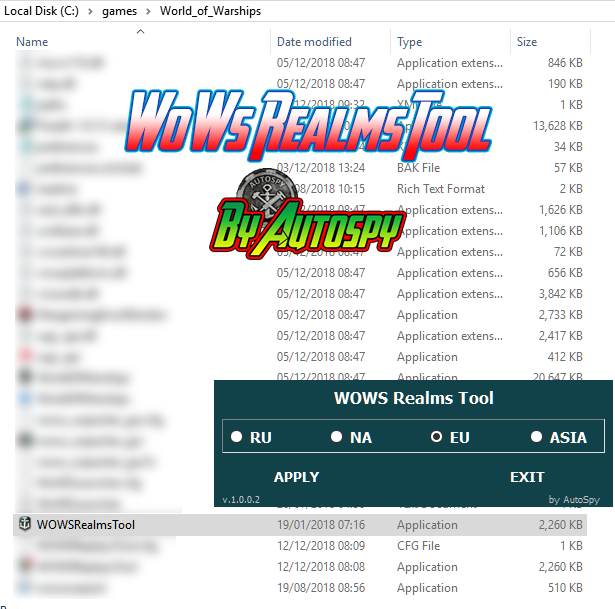 "Autospy" offers players a small WoWs "Realms Tool" utility for switching regions (RU EU NA ASIA) with ease, using only one region with just a click of a button. 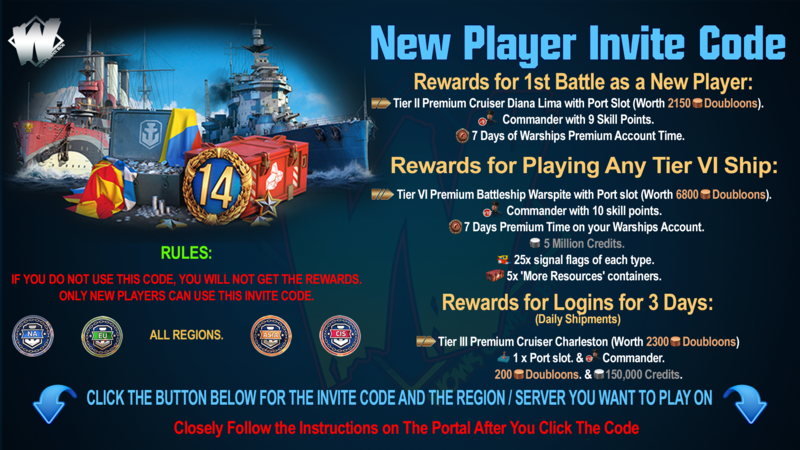 In this case, it does not matter on which client of the game you will use this program. For example, you can install a client for a European server and switch it to work with an RU (CIS) server in a region very easily. However, please note that this utility is intended to switch informally the client from one realm to another, you must have accounts for each individual server. Run the WOWSRealmsTool.exe file, select the desired region for the game and click "Apply". After that, you can close the utility and start the client. 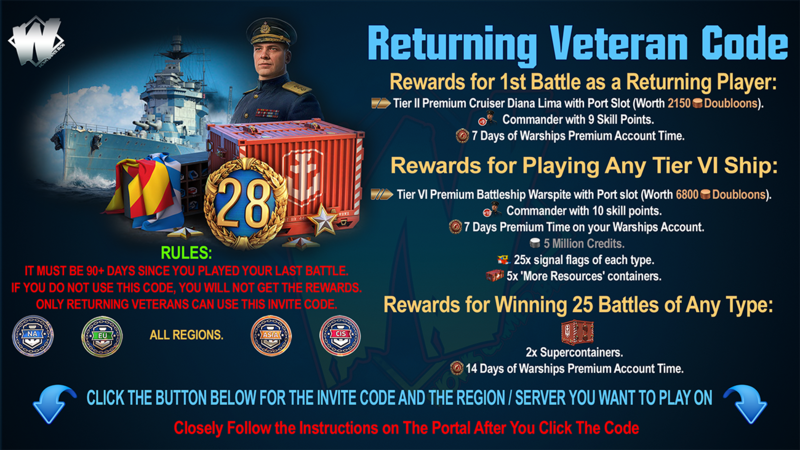 After the release of the next patch, the utility itself does not need to be updated if a new version is not published in this topic. The "Property", "Clans", "Development Tree" options * as well as links to the premium store may not work correctly switching the client to another region.